A haunting ghost story set against the backdrop of a busy winter sales period in a department store, IN FABRIC follows the life of a cursed dress as it passes from person to person, with devastating consequences. Part nightmare, part couture, acclaimed director Peter Strickland (2015 CUFF selection THE DUKE OF BURGUNDY, 2013 CUFF selection BERBERIAN SOUND STUDIO) executes his signature style of dry humour, eroticism and an element of the surreal. Note: the Friday 1:00 pm screening of IN FABRIC is part of our CUFFtots programming, events designed for parents with babies. The film is open to the general public (even without a tot in tow), but keep in mind that the film will have the lights slightly brought up and the sound slightly lowered. Crying is permitted. "A raucous, full-tilt descent into bishop-sleeved madness." "The source may be different for everyone, but the thrill is always the same. 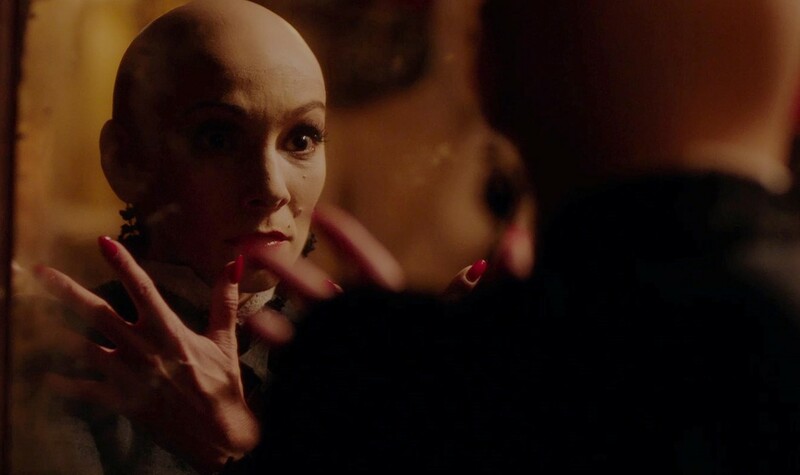 IN FABRIC doesn't know what you want, but Peter Strickland is certain that it will drive you wild."